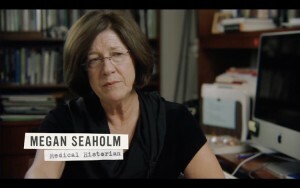 Professor Megan Seaholm is a senior lecturer in the Dept. of History at UT Austin. One of her research areas is the social construction of medical science and medical practice.